Alki Bakery has been family owned and operated since opening on Alki Beach in 1985. Alki Bakery has been chosen multiple times as a Northwest "Favorite Bakery" by viewers of King 5 Evening Magazine. They have also been chosen as a "People's Pick" finalist by nwsource.com and many of their products have won awards and accolades from local and national publications. Go to the Alki Bakery website to learn more. A classic muffin adorned with toasted almonds and a zest of lemon lends extra bright flavors. Fluffy, tender muffins made with whole-grains for a lighter breakfast treat. 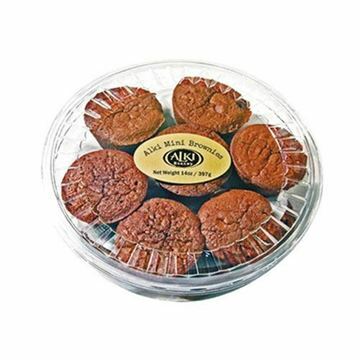 Alki Bakery Banana Sweet Bread - 16 oz. Sweet banana bread conveniently delivered to your door. Alki Bakery Lemon Citrus Sweet Bread - 16 oz. A loaf of sweet bread bursting with lemon and citrus flavor. A rich, decadent treat that’s bound to win you some brownie points. 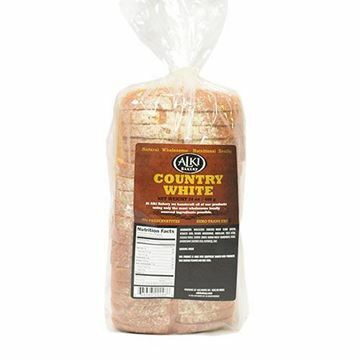 Alki Bakery Country White Bread - 24 oz. A loaf of white bread with a list of natural ingredients so short you'll know exactly what you are getting.